We can provide fun and informal barista training for you and your staff at our state of the art training room. 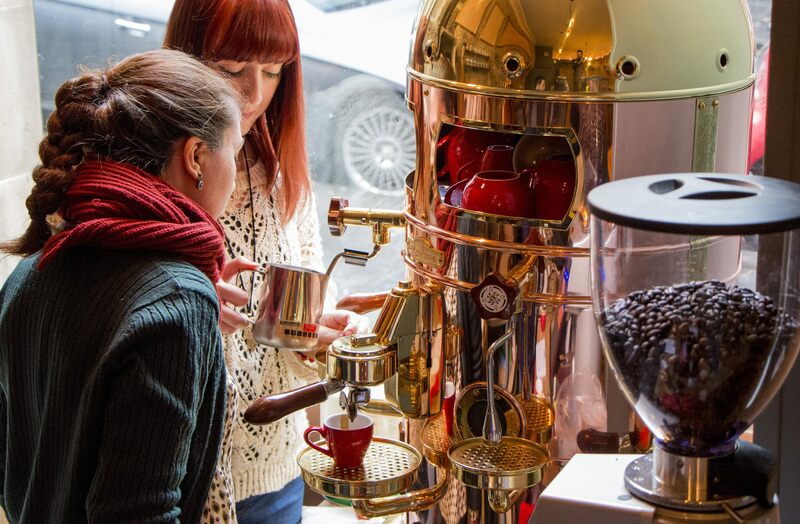 Using the latest technology and finest quality coffee beans, our experienced and enthusiastic trainer will teach you to produce exceptional coffee that will have your customers coming back again and again. We can cater for larger groups, just contact us to make arrangements. Our basic training sessions last 3 hours, and cost £100 for one or two people. You can extend sessions if you would like extra time. Additional hours are priced at £20/hour. This is a beginner’s course so you don’t need any previous knowledge, advanced users are also welcome. We also provide training courses in latte art so that you can get a little bit more creative with your drinks and impress your customers even further. All training is provided by our in house Barista, Adele McGowan (Barista Training & Events).